A very common concern among older adults and their adult children when considering a reverse mortgage is how it will affect social security, medicare, and even certain pensions. For many seniors, these benefits are a large part of their income. Fortunately, because the funds from a reverse mortgage are NOT considered taxable income, a borrower’s benefits will not be affected when taking out a reverse mortgage. On the other hand, borrowers who have Medicaid, TANF, Food Stamps or SSI may see those benefits affected by these additional funds. Because these programs are government sponsored programs with strict approval guidelines based on all sources of income, even non-taxable income, there is a possibility the additional cash flow will need reported. Other supplemental and assistance programs would need to be addressed on a case by case basis. Working with a reputable reverse mortgage lender and required third party counseling will ensure all your questions are answered thoroughly and honestly. Reverse mortgages are available to homeowners 62 and older. The proceeds can be received as a lump sum, as monthly installments, a reverse line of credit, and even to purchase a home. The funds can be used for any purpose the borrower sees fit. This FHA insured loan allows the borrower(s) to live mortgage payment free. In the first quarter of 2017, home equity held by homeowners 62 and over rose 2.6% to $6.3 trillion, according to data from the National Reverse Mortgage Lenders Association. This $200 billion increase of housing wealth is attributed to rising home values across the nation, and especially in Colorado where some of the largest spikes were indexed. It is important to note, however, that this was slightly offset by a 0.6% increase in senior held mortgage debt, which is equal to $9 billion. So, what are the takeaways from these figures? First, now is a fantastic time for older individuals and married couples to look into a HECM reverse mortgage while home values are up and interest rates are down. One of the factors that determines the amount of funds available through a reverse mortgage is the appraised value of the home – the higher the appraised value, the more funds available. On the flip side, because these loans are FHA insured, if a reverse mortgage is tapped into while home values are high, there is never a concern that more will be owed when it comes time to repay than what the home is worth at that time. This is a comforting guarantee if the housing market were to decline in the future. Second, the $9 billion increase in senior housing debt signals that older homeowners are not entering retirement mortgage-free at an increasing rate, and/or they are comfortable taking on mortgage debt in retirement. In either scenario, a HECM reverse mortgage should be considered as it may be a viable option. HECM reverse mortgages can be used to eliminate current mortgages – allowing the homeowners to live mortgage payment free. They can also be used to purchase a new home. This is something that all senior buyers should be made aware of while in the real estate market, as they can enjoy their new living situation AND live mortgage payment free. HECM reverse mortgages are individualized, specialized loans for those 62 and older that allows older adults to tap into the equity of their home while living mortgage and loan payment free. The funds can be accessed via a lump sum, line of credit, monthly installments, or even to purchase a home. Adult children can help their parents plan ahead by working with a reputable reverse mortgage specialist. Since the HECM reverse mortgage industry began seeing changes in 2015 and again, earlier this month, financial advisers, retirement planners, and reverse mortgage specialists are collaborating more than ever before. In an effort to ensure these changes are are thoroughly understood and appropriate solutions are offered to clients, a strong relationship between professionals is vitally important. Because of these newly developed relationships, it appears a wonderful shift is taking place. HECM reverse mortgage, once stereotyped as a product for poverty stricken widows or the like, is now being realized as a product of opportunity. More and more we’re seeing affluent and middle class retirees utilizing this option to provide financial stability and financial freedom throughout retirement. The industry has only begun to scratch the surface of those who would benefit or will discover the possibilities when tying a reverse mortgage into their retirement plans. 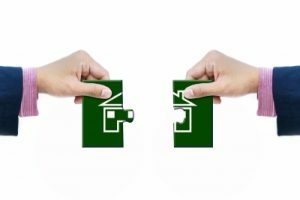 This paradigm shift will likely increase knowledge across the board regarding both traditional reverse mortgage loans and the reverse mortgage for purchase program. Both products are available for seniors 62 and over. If you have any questions regarding the changes that have taken place surrounding the reverse mortgage industry in Connecticut, please don’t hesitate to contact me. Decades ago, when our parents were working and raising a family, they looked at retirement as the true golden years. It would be a time when they stopped working and lived off the fruits of their savings and investments. Retirement planners used a three-legged-stool strategy back then. The make up of this stool was Social Security, employer-sponsored retirement plans, and personal savings. But somewhere between their retirement and now this stool became unbalanced – and now today’s retirees are needing to compensate for it. But how? First, it’s important to remember that these three components of retirement are still an integral part of retirement success, which is why it should be considered how they can be best utilized as well as protected. But it’s also important to consider what else has changed – things like life expectancy, a more active retirement, and a move toward non-traditional and even extravagant retirement goals. Why not have it all? And what are the options to achieve it? Part-Time Work: It’s not uncommon for retirees to utilize a phased retirement strategy, where they can work and begin receiving benefits. 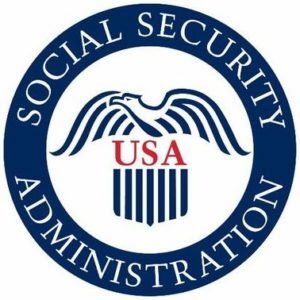 In addition to the obvious point of this – additional income – working can help to delay Social Security benefits, as well as keep older people engaged in the community. Reverse Mortgage: For those with substantial equity in their homes, a reverse mortgage can be an excellent way to balance out that stool analogy with a fourth leg, or simply get the boost retirees need to live that extravagant retirement life they’ve been dreaming of. Funds are available via a line of credit, monthly installments, a lump sum, and even to purchase home (or a combination). Because the income is not taxed, it can be used strategically with investments, or used to delay Social Security benefits. Another common function is a stand-by strategy that taps the line of credit now, but only uses it during bear markets to protect investments. These FHA backed reverse mortgages do not incur any mortgage or loan payments, although borrowers must keep up with homeowner’s insurance, property taxes, and other associated costs. In addition to living mortgage payment free, they can actually eliminate any existing mortgage or HELOC payments, and the loan is not payable until the last borrower passes away or permanently leaves the home. 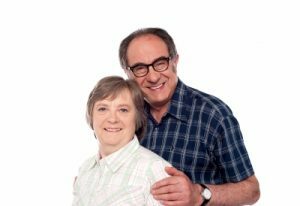 Downsizing and HELOC’s: When considering how to make ends meet during retirement, downsizing is often part of the conversation. Selling the home and moving to smaller one, then using any additional equity as a retirement funding source. For anyone considering this, I’d suggest looking at the details of a Reverse Mortgage for Purchase prior to making a final decision. A Reverse Mortgage for Purchase option can allow buyers to get more house for their money, while still having cash to stash away for retirement. A Home Equity Line of Credit (HELOC) is another common solution. When going this route versus a reverse mortgage, ensure the new monthly payment will not cause damage down the road if other needs arise, like medical care. Reverse mortgages certainly won’t be right for everyone, but for many they can be used creatively to aid in funding today’s retirement that is so different than what we are used to. When planning for retirement, there will no doubt be a discussion about when a retiree should start taking their Social Security benefits. There are perks to delaying, for example Social Security benefits stand to increase as much as 7-8% per year if you don’t apply until age 70. But many seniors need this income as soon as they’re eligible. With the ability to apply for a HECM reverse mortgage at the age of 62, and current low interest rates, retirees stand to actually make gains by using a reverse mortgage to supplement while delaying benefits. When approved for a HECM reverse mortgage, the borrower can choose from a variety of ways to access the funds. It could be a monthly installment, a lump sum, or even a line of credit that in itself stands to grow over time. This is a creative way to use the hard earned equity in your home to your benefit. A well educated financial advisor would easily be able to help you decide if this is a good option. 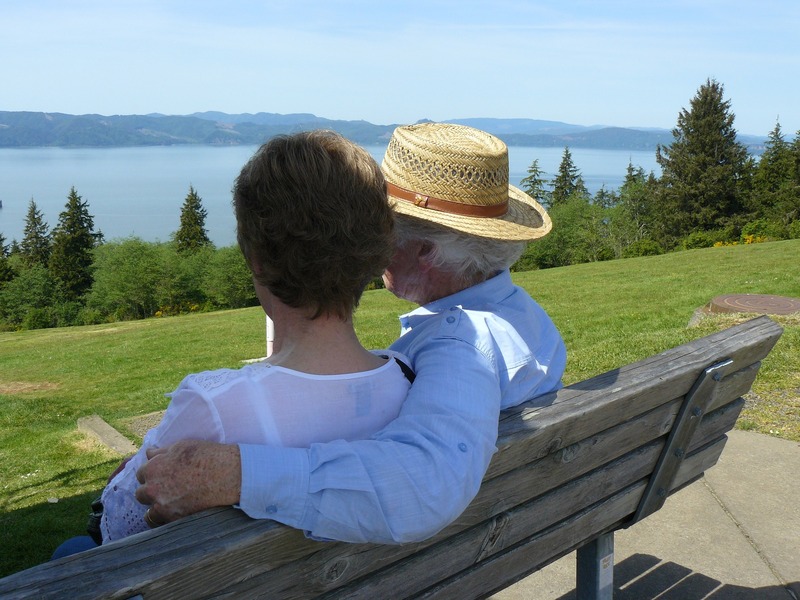 HECM reverse mortgages are available to seniors 62 and over, including married couples, with an approved type of home. The borrower will always retain the title to the home and HECM reverse mortgages are insured by the FHA. The HECM Reverse Mortgage Line of Credit is still relatively new, and to this day many within the financial and retirement industries haven’t fully grasped how it works. Well, they need to get on board because consumers are interested – and they should be. Here’s why..
First, what is a line of credit? 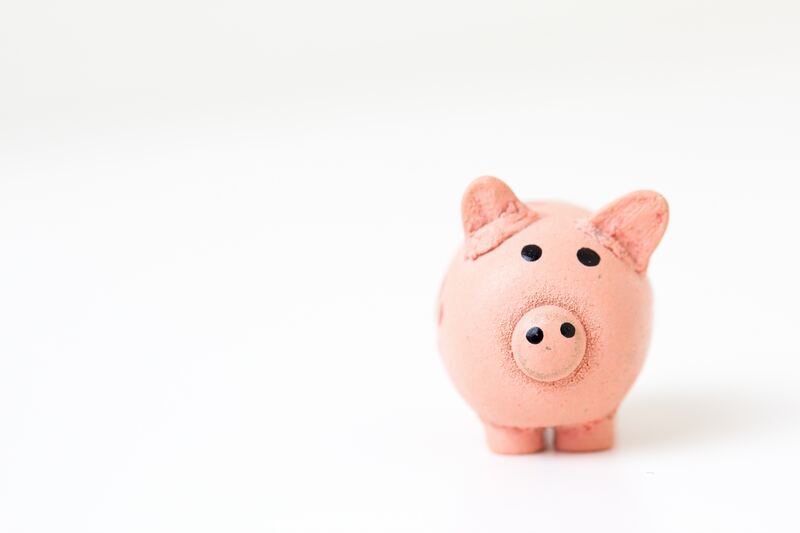 Simply put, a line of credit are funds available to you through a financial institution that you can access as needed, or not at all if the need doesn’t arise. Interest is not acquired if the funds are not used. This makes line of credit options excellent safety nets, especially for the purpose of creative retirement strategy. When looking at a HECM Reverse Mortgage Line of Credit, the two are obviously intertwined, meaning the qualification requirements for any reverse mortgage still apply. 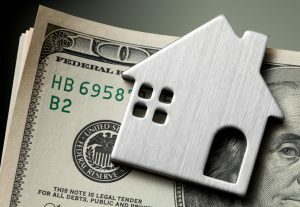 These are: age 62 and over, using your primary residence for the loan, this home must meet HUD’s guidelines and needs to be either paid off or have substantial equity, and the borrower must have the financial capability to continue to pay homeowners insurance, property taxes, and the like. Because there are various options to receive the payout from a HECM reverse mortgage, the line of credit is only one of them. When you have a HECM reverse mortgage line of credit, you have money that is available to you — but you only pay interest on the money you withdraw – and just like any reverse mortgage, you don’t pay anything until the loan comes due. This means the reverse mortgage line of credit can act as an excellent back up source of funds or can be used for retirement fun, whether it be vacation, spoiling grandchildren, or knowing you have the funds available when you’re ready to take on new ventures. There are other benefits though. This line of credit is pretty astounding beyond just being a safety net. Growth: Not only are you not paying interest, but your untouched reverse mortgage line of credit can grow in value. Money in a reverse mortgage line of credit grows at the same rate as the interest rate on the loan PLUS 1.25% monthly. So, if the interest rate on your reverse mortgage is 2.50%, then your line of credit will grow at 3.75% (2.50% + 1.25%). Unique: This growth is unique to reverse mortgage lines of credit — a HELOC for example does not grow. Hedge Against Falling House Prices: The growth in a reverse mortgage line of credit is guaranteed — without withdrawals, your line of credit is guaranteed to grow. This means you lock in the current value of your home without taking out an interest accruing loan. Should You Pay Off A Traditional Mortgage With A HECM Reverse Mortgage? A recently released university report by the Michigan Retirement Research Center and funded by the Social Security Administration showed that 55% of those utilizing a HECM reverse mortgage are using some of the proceeds to pay off a traditional mortgage. So, when is this a good strategy? When many older adults reach retirement, they have to figure out out how to live on a fixed income and how to make their other retirement assets last for what is often decades. Tapping into a HECM reverse mortgage will both eliminate the weight of the mortgage payment, and often even allow extra funds to be used throughout the remainder of their lives. It’s not uncommon for retirees to purchase a home in retirement. But few know they can do this with a HECM reverse mortgage instead of a conventional one. This allows buyers to either preserve assets and income, or purchase a home that would typically be out of their price range. Click here to learn more about the HECM Reverse Mortgage for Purchase program. For those with retirement investments that are doing well, drawing from these to make mortgage payments could be a bad move. Using a HECM reverse mortgage to eliminate mortgage payments can be a win-win in the long run. HECM reverse mortgages use the equity in your home to allow access to cash through monthly payments, a lump sum, or a line of credit while living mortgage payment free. The borrower and the home must meet certain qualifications, such as age (62 or older), and HUD’s home eligibility requirements, and they must also continue to pay and maintain certain responsibilities such as property taxes and homeowners insurance. Is The Retirement Crisis Really THAT Bad? Numbers are being released showing that the impending retirement crisis may be worse than originally thought. Half of Americans have less than $10,000 in savings. Nearly half of the oldest Baby Boomer generation have insufficient resources to pay for basic retirement living expenses and healthcare costs. The Center for Retirement Research at Boston College estimates that our “retirement income deficit” is $6.6 trillion. That number represents the gap between pension and retirement savings that American households have today and what they should have to maintain their standard of living in retirement. Over 6 million American seniors are living in poverty. This number is expected to grow by 33% by the year 2020. These stats are concerning not only for the retirees, but also their families. A HECM reverse mortgage can help by becoming an important piece of retirement planning. Seniors 62 years and older now have the ability to fund their retirement using the equity in their homes, alleviating mortgage payments, and receiving either a line of credit, monthly installments, or occasionally a lump sum. These funds are not taxable as income, and will continue for as long as the borrower remains in the residence. For many, this option makes a world of difference, allowing for the sought after prosperous retirement years instead of barely scraping by on a budget. And the HECM reverse mortgage funds can be used for any purpose the borrower chooses, and is often used to help with every day expenses or long term medical costs. 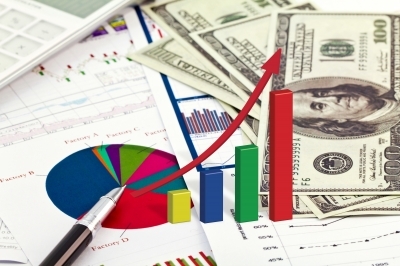 Should Your Financial Planner Be Discussing HECM Reverse Mortgages? When financial planners counsel retirees on how to best leverage their retirement portfolio, social security, and other assets, considering a HECM reverse mortgage was rarely part of that conversation – but this is beginning to change. As the myths of the industry are laid to rest, many professionals are beginning to better understand how reverse mortgages can be used as a retirement financial planning tool for both those who are on a strict budget as well as those who want to live out the dreams of the golden years. Reverse mortgages can often mean the difference between just living and living life to the fullest. Seek out and work with a reputable HECM reverse mortgage advisor who has strong ties to the community, lends from an organization that is a member of the Better Business Bureau, and is associated with theNational Reverse Mortgage Lenders Association. Make sure you fully understand the information you may be offering your retiree client. With the amount of misinformation within the industry, if you are not 100% sure of an answer, call your trusted reverse mortgage specialist to ensure the information you are providing is accurate. Communicate with adult children who may have concerns and make sure they fully understand the process from A to Z. Eliminating misinformation is key. Remember, reverse mortgages are not one-size-fits-all. Be creative and comprehensive when considering adding a reverse mortgage to a long term retirement plan.